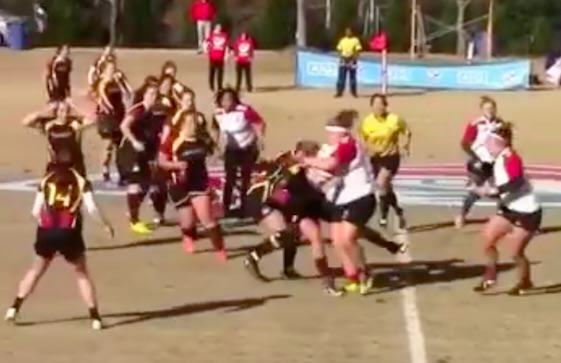 Footage from this women’s rugby match in the US proves that the ladies can dish out just as much brawl as the men. 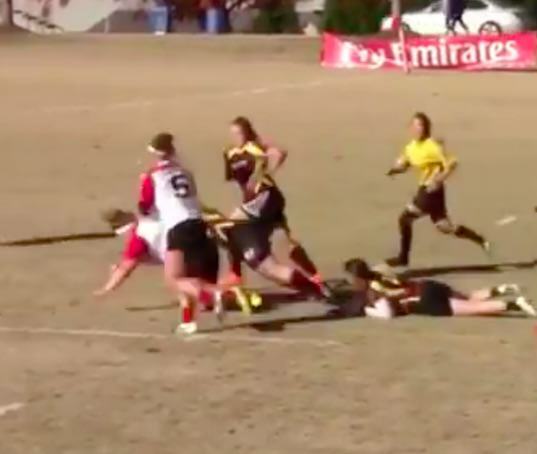 The player from Davenport Women’s Rugby smashes into the opposing team’s defender so badly that apparently USA Rugby is already labelling it as a candidate for hit of the year for women’s rugby. There is some debate however, as the gobsmacked pundits can’t decide whether they like the hit, or the ‘saucy little offload’ more. She then went on to pull off a nifty little pass before being taken down, but this hit is all we wanna see on loop for the rest of our lives. He could be right. Here’s the maximum brutality. VIDEO: SOME DAYS YOU’RE THE HAMMER, SOME DAYS THE NAIL – DAVENPORT WOMEN’S RUGBY PLAYER SMASHES DEFENDER SO BADLY PEOPLE ARE CALLING IT THE HIT OF THE YEAR!